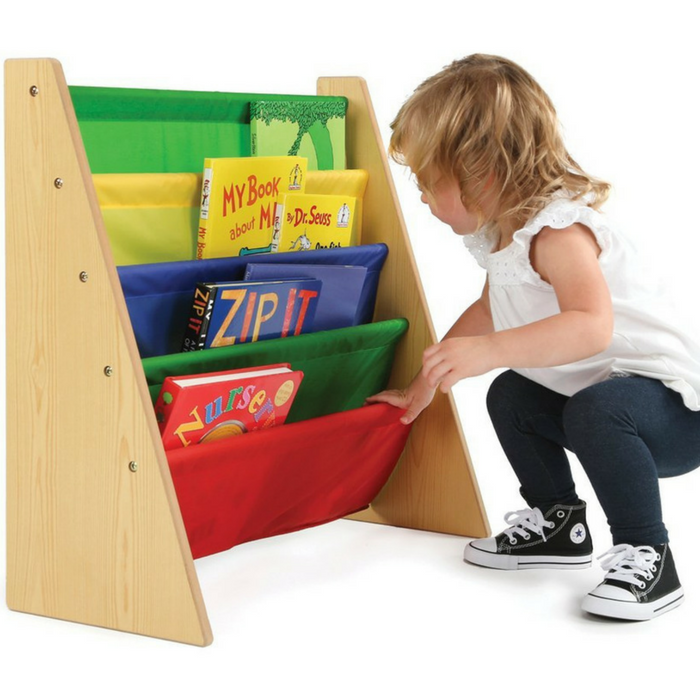 Tot Tutors Book Rack Just $28.89! Down From $50! PLUS FREE Shipping! You are here: Home / Great Deals / Amazon Deals / Tot Tutors Book Rack Just $28.89! Down From $50! PLUS FREE Shipping! Hop over to Amazon where you can score this Tot Tutors Book Rack for just $28.89 down from $49.99 PLUS FREE shipping! The space-saving Tot Tutors Kids Book Rack Storage Bookshelf with book storage sling pockets displays book covers forward for easy recognition by young children. The 5 colorful, deep, sleeves hold books of almost any size for easy book viewing and convenient storage. The height of this book rack storage bookshelf is just right for toddlers and preschool-aged children to safely grab their favorite book. This alternative to a bookcase is easy to assemble and the fabric pockets are great for helping your little reader store their growing book collection. This piece of furniture is a great fit for all homes, whether large or small. This book organizer comes in multiple color options to complement the existing furniture in your home as well as the table and chairs sets and other toy storage organizer products in Tot Tutors’ line of kids furniture.